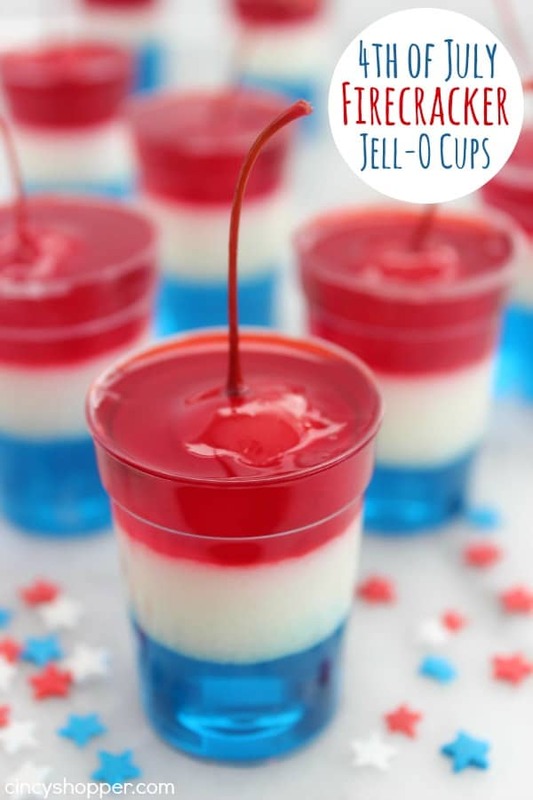 These Red, white, and blue 4th of July Firecracker Jell-O Cups will be the hit at your Independence Day celebrations. 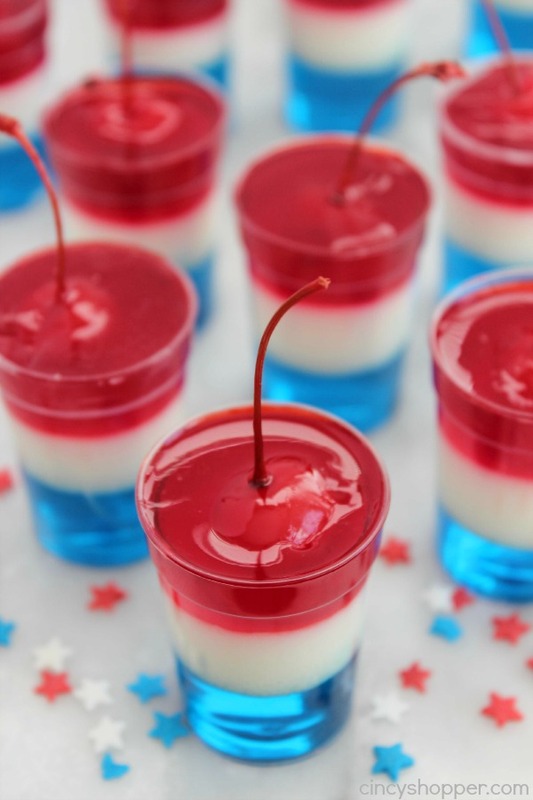 Super simple layers of Jell-O in small cups with a cherry on top to resemble a firecracker. Super cute and fun! Jell-O for summer bbqs is always super fun. 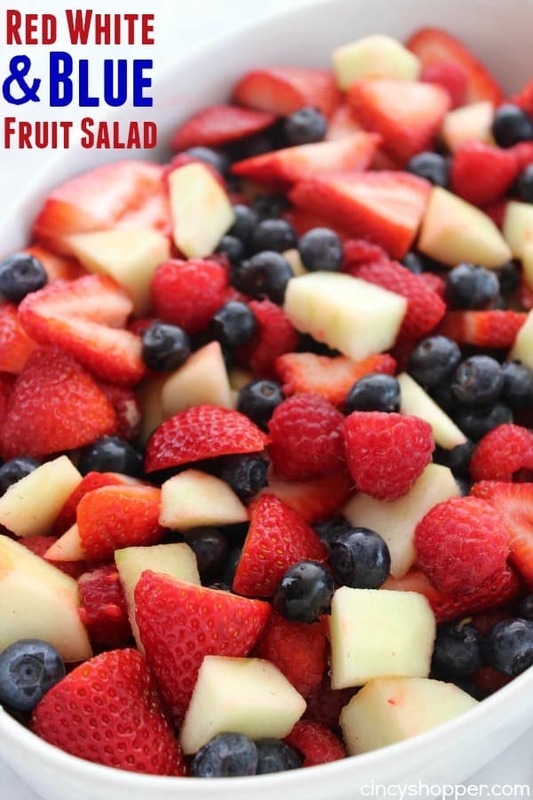 My kiddos are the first to snag a cup or load their plate with any Jell-O or Jell-O salads we serve up. Jell-O is such a fun food. I am thinking the colors are what really puts all of us in a fun mood. I will quite often make a batch of Jell-O and fresh whipped cream to enjoy for a simple after dinner dessert. Growing up, we did not have dessert after every meal. When we did have dessert, it was a simple dessert like Jell-O or Homemade Chocolate Pudding. With July 4th celebrations just around the corner, I made this batch of Firecracker Jell-O treats because I was anxious to share them with you plus I wanted to make sure the idea would work. 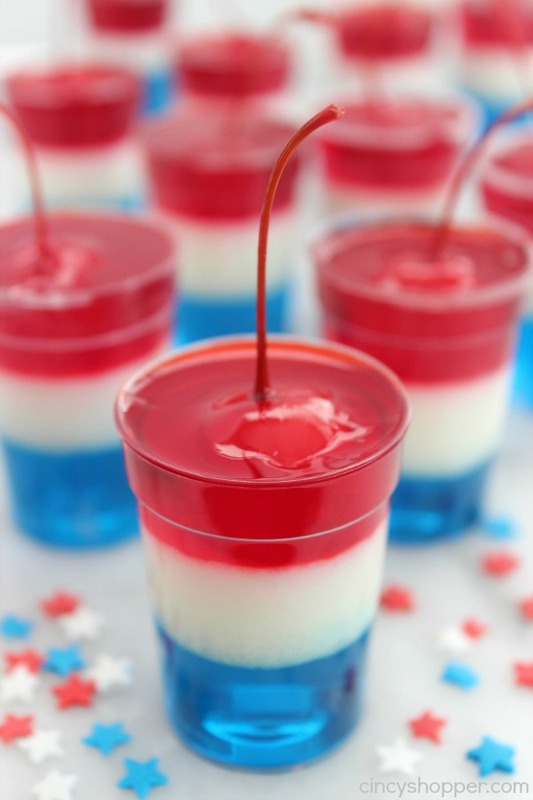 I was super excited that these little red, white, and blue Jell-O shots worked out perfect. They are so bright, fun and perfect for our July 4th grill out. The ingredients needed to make these Firecracker Jell-O Cups are super simple and inexpensive. 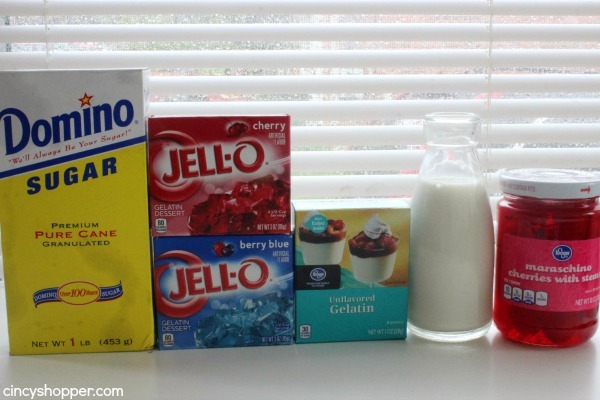 You will need flavored Jell-O in red and blue colors, unflavored gelatin, milk, sugar, and maraschino cherries. 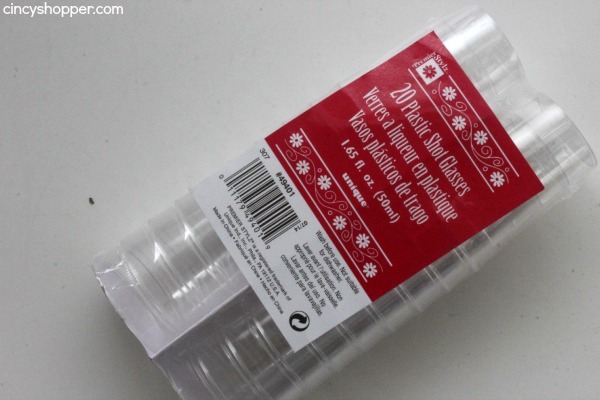 Plus these Jell-O Cups are so simple that I plan to let my teen kiddos make them next time. If you can find tall shot glasses they will work best, but any clear glass will do. 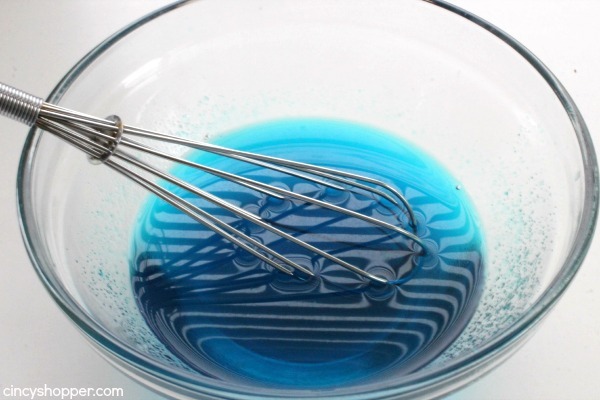 Place blue gelatin in a bowl and add 2/3 cup boiling water. Stir well until dissolved and allow to cool. Fill each cup 1/3 full of blue and place in refrigerator. Add 1/3 cup of milk to another bowl and sprinkle unflavored gelatin over top. Heat remaining 2/3 cup of milk to a boil. Remove from heat and stir in sugar to dissolve. 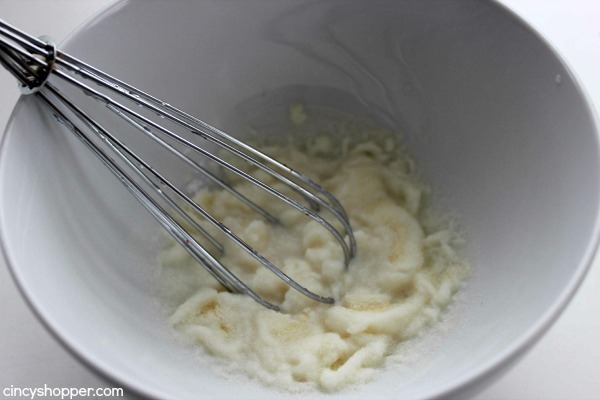 Add heated milk to gelatin/milk mixture and stir until blended. Gently fill all cups the next 1/3 of the way with white mixture and return to refrigerator. 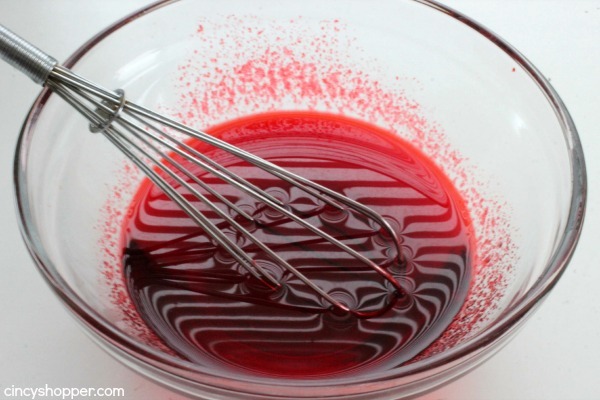 Place red gelatin in a bowl and add 2/3 cup boiling water. 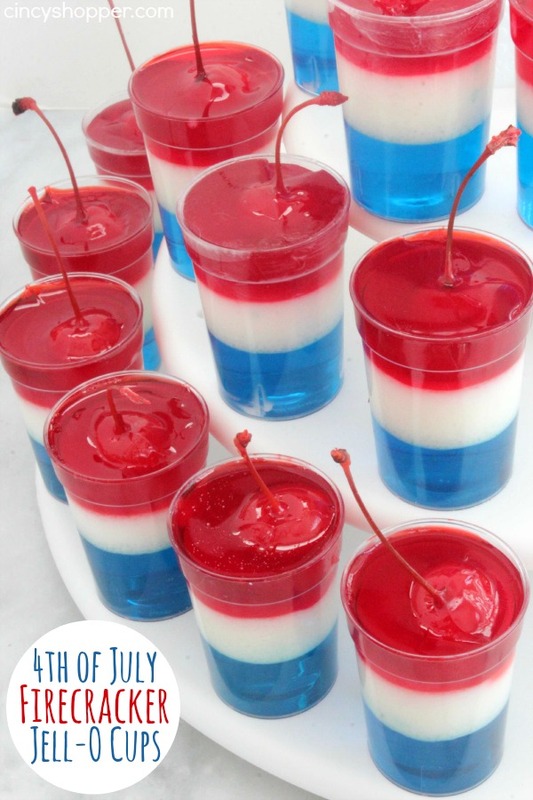 Place a cherry on top of each glass and add about 1/4″ of red gelatin to each. Place in refrigerator for 5 minutes. Pull from refrigerator and try to adjust to get stems to point upward. Fill each cup the rest of the way with red and place in refrigerator. Do you host or attend a large July 4th party with family or friends? 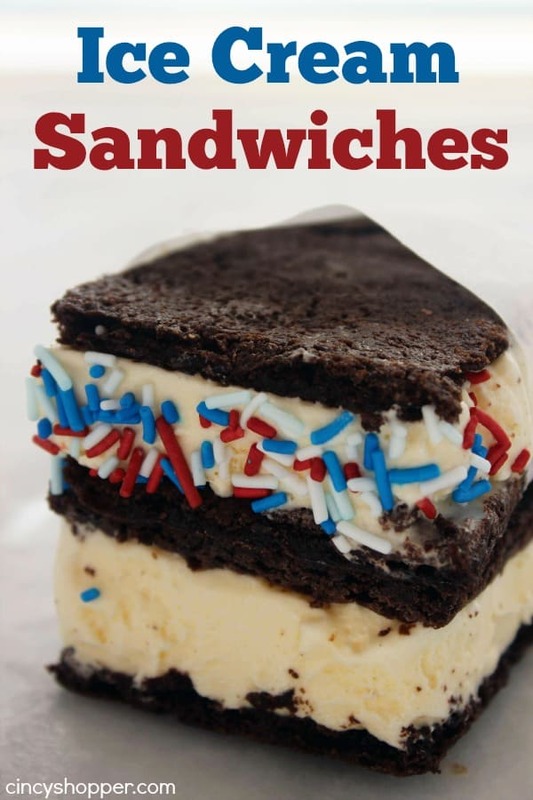 July 4th is one of our favorite holidays. There is nothing better than spending time with family, friends, enjoying great food and fireworks. If you are looking for the same cups I used for our Firecracker Jell-O Cups, I found them at Kroger in the paper products section. They were super inexpensive and the size was perfect. 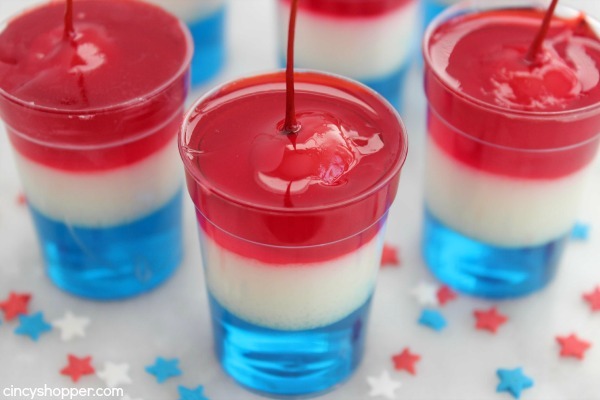 Place a cherry on top of each glass and add about 1/4" of red gelatin to each. These are so clever! They really do look like those festive fire crackers! Very cool! These would seriously be the perfect sweet treat for Summertime entertaining. Would love for you to share at OhMyHeartsieGirlWW link party! I tweet, pin and share! So cute! I love the cherry stem fuse! That’s what I call cherry on top ! I found this at the Idea Box- Thursday linkup. So beautiful, and I was curious about the white layer in the middle! Very ingenious! Thanks for supplying the info about the plastic shot glasses too! Happy Memorial Day weekend. These look awesome! Thank you for linking up with Idea Box Link party!! Love this idea! How many “shots” does a single recipe make? I’m just trying to figure out if I should use the 3oz packs or double up for our crowd. I use 2 oz clear shot cups all the time for my kids’ birthday parties for small single serving sizes of treats, veggies w/ranch dip, shrimp cocktail, etc so I always have them around. Thanks! They look amazing and will be the shooting star of my 4th of july celebrations, many thanks and much love, adri!